Tune in every Tuesday for new episodes. I’ve been asking my listeners recently to submit questions that they’d like me to answer on air, and I’ve noticed a particular theme come up a lot: relationships. Specifically, people want to know what to do about their partner once they’ve decided to change their drinking. Their partner drinks too much and is causing temptation. Or the listener’s partner doesn’t drink at all and is surely judging them for indulging. Or their partner just drinks one glass and calls it quits. This is an expression of something we do in all of our relationships. We create invisible instruction manuals for people in our lives so that they can act in ways that will make us feel better. We constantly think we’d be happier, less stressed, less angry if so-and-so would just stop or start doing X. But when we do this, we’re looking for contentment in entirely the wrong place, while simultaneously putting our emotions at the mercy of other people’s actions. On this episode, I’m talking all about relationship manuals and how we use them as a way to avoid taking responsibility or our own thoughts, feelings, and actions. I’ll tell you how your brain will always find something new to complain about, even if people in your life do change in the way you want them to. And I’ll share how this tactic is ultimately pointless because you are the key to changing your drinking – nobody else. If you’re tired of worrying about your drinking and ready to create a life that blows your mind, visit https://www.rachelhart.com/inpursuit to apply for my year-long coaching program for women just like you. Why people who want to change their drinking often get hung up on their partner’s actions. How the brain thinks about other people’s behavior versus our own behavior. Why it’s so uncomfortable to take complete responsibility for your drinking habits. What a partner who drinks a lot, a partner who doesn’t drink at all, or a partner who drinks “normally” have to offer you as you work to change your own drinking. How you are making your partner’s drinking (and your own) mean something about you as a person. Why you don’t need anybody else to change in order to be happy or change your habits. Visit https://www.rachelhart.com/inpursuit to apply for my year-long coaching program for women that want to learn how to stop overdrinking and create a life they love no matter what’s in their glass. 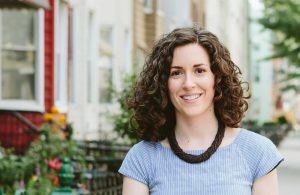 You are listening to the Take A Break podcast with Rachel Hart, episode 114. Welcome to the Take A Break podcast with Rachel Hart. If you are an alcoholic or an addict, this is not the show for you, but if you are someone who has a highly functioning life, doing very well, but just drinking a bit too much and wants to take a break, then welcome to the show. Let’s get started. Hello everybody. Listen, I’m going to warn you, I’ve got a little bit of a cold. In fact, my entire family has a little bit of a cold and we have had a little bit of a cold for a while now, and so I think my podcast producer is really going to have to help me out on today’s episode because the last one I recorded, I had a lot of coughing fits. So bear with me, and if I sound a little croaky, you know why. Listen, today we are talking about relationships. I love talking about relationships. I love relationships. I love my relationship, I love my past relationships, I love romantic relationships, relationships with my family. I love them all. You know why? Because they are such a perfect window into your mind. I will tell you, I have been asking people to send me their questions that they want to hear me answer on the podcast and one that has come in, or one theme that has come in over and over again is what to do about your partner when you want to change your drinking. And I deal with this with my clients all the time, but it always makes me laugh because I promise, no matter what your partner is doing, your brain thinks it’s the problem. Do this all the time. Because the brain believes that other people create how you feel. Listen up, you have heard me talk about this over and over on the podcast. Other people do not create your feelings. Your feelings are created by your thoughts. That is how the think-feel-act cycle works. Now, you may have thoughts about other people and you may have thoughts about their behavior, and those thoughts may create your feelings, but the people themselves are not the ones creating it and this is everything. This is something that is both challenging to wrap your brain around because we are taught the exact opposite, that other people create how we feel, but it is truly the area where you will gain so much power and so much freedom when you step into this. Because here’s the thing; as long as someone else creates how you feel, you will always, and I mean always, be at their mercy. You will always be at their mercy, hoping that they treat you nicely and they’re really supportive so that you can feel good and you can succeed. But here’s the problem; that’s not how the world works. And you know what, I’m glad it doesn’t work that way. I’m glad I am not at the mercy of other people to feel good about myself and to be successful in life. Listen, if I could teach you guys how to do this, if I could teach you how to change people so that you could feel better, I would totally teach you how to do that. But here’s what I know; not only does it not work, I am terrible at doing it. I have tried to do this so many times in my life. Tried to get my parents to change, then my sister to change, and bosses to change and coworkers and friends and boyfriends and my husband and my baby. I tried to get them all to change, and you know what? I’m terrible at it. Even the times when maybe I’ve succeeded a little bit like, “Honey, could you please make sure that you text me when you’re going to be late?” Even the times when I have been successful, guess what happens. My brain just finds the next thing that the other person needs to do differently so that I can feel better. It just keeps finding the next thing that they need to modify. You have to focus on what you can change, and the answer is always you. You have the power to change your thinking. It will take practice. It’s not a piece of cake. You can’t just snap your fingers, but you have the power to choose different thoughts and to think better feeling thoughts on purpose, which means you have the power to change your feelings and your actions. Then, at least you know that you actually can create the change that you want instead of relying on someone else, and that’s what I really want to dig into on today’s episode. Why we think that our partner is getting in the way of our own ability to change the habit of drinking, all these instruction manuals that we create for the people in our lives to follow and the problem with these manuals, and how to feel good and be successful regardless, and I mean regardless of what someone else is doing. It’s so fascinating how much we want to control other people. I mean, just notice your brain. Notice your brain and how much it thinks about how other people should be doing things differently and showing up differently and acting differently and change their behaviors. We have so many shoulds for other people. But here’s the truth; you have a hard time controlling yourself, right? Think about it. You have a hard time controlling how much you’re drinking, how much you’re eating, whether or not you’re going to the gym, how much money you’re spending, whether or not you lash out at someone when you feel angry. You’re struggling with that. But your brain is so sure that other people can change and that they can change really easily just because we think they should. But then we turn and look at ourselves and we are like, I don’t know, I’m just totally out of control, I don’t know why I drank this much, I don’t know why I ate this much, I don’t know why I’m not going to the gym, I don’t know why I have all this debt on my credit card. This is what happens. We totally overestimate how much other people can change and how easy it is for them to change and we way underestimate how much we can change. Why do we do this? Simply because it is easy. If someone else needs to change for you to feel better or for you to be successful, then you’re off the hook. It’s no longer your responsibility. But here’s the thing; when it is your responsibility to feel better and to make choices around your drinking and your eating and how you spend your time and spend your money, all of a sudden, that feels uncomfortable because the responsibility is all on your shoulders, and isn’t it so much easier to give that responsibility to someone else. It’s like what we do is we just hand over our happiness and our wellbeing and our ability to succeed in life to somebody else. And we just say hey, you go run with that. I’m going to put you in charge. But the truth is you are overestimating how much other people can change and way, way, way underestimating how much you can change. So let’s just break down the first scenario. It’s so hard to change my drinking because my partner drinks too much. He drinks every night. Multiple drinks, and maybe he brings home a six-pack or he brings home fancy bottles of wine, whatever it is. It’s so hard, just too much temptation. Now guys, if you have listened to this podcast, you know what I’m going to say. Good. Be around alcohol. When you tell yourself that your success is only possible when you aren’t around alcohol, you’re kind of screwed because you’re giving all your power to alcohol. Oh, it’s just too tempting. I can’t say no, I can’t resist. Listen, alcohol just sits there, even when your partner brings it home. Even when your partner is drinking it. The drink does not persuade you to pick it up. You do that. You know what happens when you have a partner who drinks a lot and you are working on taking a break? You get tons of practice listening to your brain. You get tons of practice watching your brain come up with permission-giving thoughts and justifications and excuses for you to have a drink. It is like going to boot camp and you know what happens when you go to boot camp? You get really freaking strong. I had a boyfriend in high school, after he graduated, he joined the military. He went off to boot camp and he came back and I remember seeing him after my first year of college and I was like, oh my god, you are very strong. Why? Because he went to boot camp and he was doing all the uncomfortable things. And that is what it is like when you are not drinking, when you are around people who are drinking. You are lifting the heavy weights. And what we want to say, what we believe is like, oh my god, don’t lift the heavy weights, stay away from the weights, the weights are dangerous. No, the weights make you strong. As long as it is your partner’s fault, then you’re totally off the hook and he becomes the reason that you’re not succeeding. But if you are drinking when you said that you wouldn’t, it’s because you are making that decision. And listen, we do this with everything. Not just with alcohol. We want our partner to go in the diet with us or to go on the digital detox with us because we believe that it will be easier. But what we are doing is we are hiding from the very thing that is actually making it difficult, and that of course is our thinking. Now listen, I know some of you are saying, “It’s not just that my partner brings alcohol home. He actively wants me to drink. He actively is like hey, come on, lighten up, you don’t have a problem, have a good time, just enjoy yourself, cut back.” That is also perfect for you. He is giving you all of the thoughts that trust me, your brain would be coming up with anyway. Now listen, it will mean that you are going to have to make a decision that someone will not support. But guess what, when you base your life, when you base your decision making around trying to make choices in life that everyone will support, you know what you will do? You will do that at the expense of yourself. So if you are telling yourself it’s so hard because my partner drinks a lot, there’s just too much temptation or I’m afraid of letting him down, I want you to know this is the exact work that your brain needs. You don’t need to get him to change for you to be successful, and not only that, you can use all of this to your advantage. Now, I’ve heard the exact opposite from people. “It’s so hard to change my drinking because my partner doesn’t drink at all, and you know what, I feel so judged by him.” It’s so fascinating to see how the exact opposite situation, people come to me and say this is just as much of a problem. So, my partner doesn’t drink at all and I feel totally judged by him when I’m drinking around him, or I feel totally judged by him because of my past behavior. Listen, if you are feeling judged when you are drinking around someone who is not drinking, it is because you are judging yourself. He just becomes a mirror for you to see all your own thoughts about your decision to drink. I was talking to a client recently about this and she was saying, you know, “My partner never drinks, it’s just never been his thing and when I do, I can just feel, it’s like burning into me, it’s searing into me all his negative judgment.” And what I told her was no, you’re feeling your judgment of you. Because here’s the thing; if you felt good about your drinking, if you felt good about the decisions you were making and the results that you were getting, you wouldn’t have all this negative emotion about it. But there is a part of you that does not feel good about it. There’s a part of you that does not like the results you are getting. And so that other person acts as the mirror. I want you to think about it this way. Think about something in life that you feel really good about. Something that has to do with choices that you make. You feel really certain about it. Maybe it’s a hobby or a charity that you donate to or maybe it’s a child. Whatever it is. Think about that. I’ll tell you for me, I’ve talked about this on the podcast before. I’m a coin collector. It is true. I grew up with a father who collects coins. I started my first collection with him when I was probably in fifth grade. I started collecting Jefferson nickels and now I collect something called peace dollars, which were minted between 1921 and 1935. My father and I actually just started talking about a collection that we want to start for my son even though he’s a baby because it’s really important for me to have something from his grandfather that he can share in this love for coins. Maybe he will, maybe he won’t, but I like the idea of passing this down to him. And I will tell you something. If you’re like, “Really? You collect coins? That’s kind of weird,” you would not be the first person to say this to me. You would not at all be the first person to be like, “Huh?” with a little bit of a headcock like, that’s interesting, i.e. that’s kind of strange. And I remember a couple years ago I actually met an engraver who was working at the US mint and I was like, “Wait what? Stop. Tell me everything about your job.” I was so fascinated by him. But when people are like, hey that’s kind of a weird thing to do, that’s a weird thing to spend your money on, I’m just like yeah, you’re confused because I don’t have any negative thoughts about it. I don’t have any negative judgments about it. I love it. I feel totally secure in it. And so I’m not all of a sudden like oh god, maybe it’s this weird shameful thing that I do. I’m just like no guys, you got it wrong. You just don’t know how great it is. Listen, if you are feeling judged by someone and it can be about your drinking, it can be about anything in your life, it’s because you are judging yourself. And that is such a powerful thing to be able to realize because then, instead of spending all your time and all your energy and all your effort trying to get someone to make it so that it doesn’t seem as if they’re judging you, you can spend your time and your energy and your effort making sure that you love and you support the decisions that you are making around alcohol. And here’s what I want you to know. What you have to look at is this; what are you making it mean that you drink more than you want? I promise you, you are not making it mean anything good about yourself, anything positive, and I know this from experience because what I made it mean that I drank too much was a whole slew of thoughts about how I was weak and sloppy and broken and undisciplined and abnormal and embarrassing and that something was kind of wrong with me. And I was so sure that the way to fix all of that was to just prove that I could drink normally. And you know, that totally is such a crazy thing because of course what normal drinking looks like is so subjective. It means something different for everyone. For me, I just wanted to be able to drink as much as I wanted and not ever wake up with a regret the next day, not ever feel like I had acted really stupid. That, to me was normal. Here’s the thing; I don’t care how much you drink. I don’t care if you don’t drink, if you do drink, I don’t care if you drank a lot last night, I don’t care what you’ve done while you were drinking. No matter what, there is nothing wrong with you. You are not broken, you are not weak-willed. And as long as you are telling yourself that, you are creating a lot of shame and judgment that is not serving you on your quest to change the habit. This is what I know; if you are drinking more than you want, you are just a person that has some think-feel-act cycles running in your head. Maybe you haven’t identified them yet. Maybe you’ve found them but you haven’t yet figured out how to change them. But that’s the only thing that’s happening. You’re not depraved, you don’t need fixing. You are totally 100% worthy and lovable and valuable as a human being. You are complete right now, just as you are. You just have a habit that’s not serving you. So when you feel jealous or irritated at someone else’s “perfect drinking,” it’s because of what you are making how much you drink mean about you. It’s what you are telling yourself that overdrinking means about you as a person. Here’s what I know; someone who drinks one glass and calls it quits, they are not better than you and they are not normal. They just have different thoughts in their head in response to the reward of alcohol. That is it. Different thoughts that they have practiced over and over again. I really want you to stop telling yourself that you need your partner or your friend or your family member, whomever, to change in order to be successful. It is such a lie. We do this all the time. We create these instruction manuals for how the people in our lives should behave so that we can feel better. This is what you need to say, this is how you need to act, this is what time you should come home and the things you need to do around the house and the way that you should look at me or not look at me, and this is how much you should drink or not drink so that I can feel good. I can be happy, I can feel successful. And the problem is that we write all these manuals for people and then we try to get them to follow them. And you know what, people are terrible at following your instruction manuals. All of your energy right now is focused in the wrong place. It is focused on an area that you have no ability to change. You are making yourself at the other person’s mercy. Not only that, but even if you are able to get someone to change, you are looking in the wrong place because their behavior, other people do not create your emotions. Your thoughts about other people, your thoughts about their behavior, that is what is creating how you feel. If you want to be successful at changing your drinking and changing this habit, you have got to take full responsibility for every decision that you make. Even the decisions that you don’t like. Even the decisions that don’t give you the results that you want because you know what, there’s so much information in there for you. You have to look at all the ways that you are telling yourself that other people are making it hard for you to take a break, hard for you to say no to that glass of wine, and you have to call BS on yourself. Because the actions that you take, all actions in life, including decisions that you make around drinking are the results of your thoughts and your feelings and no one else’s. Other people can’t put thoughts in your head and even if they give you thoughts to think, it’s up to you to decide if you’re going to believe them. Your success is up to you. And what I know is that you can do this. I have watched so many people change their drinking. I have watched myself do it when I told myself over and over again it will be impossible, I’ll never be able to succeed, I can’t do this, I’ve failed so many times before. But the way that it is possible is when you stop looking at other people and you stop telling yourself how other people are making it difficult, other people’s choices around alcohol are making it difficult, and you just step into you and focusing on you and your ability to make different choices in your life. So important. Pay attention to those manuals that you have for other people. It changes everything. That’s it for today. I will see you guys next week. Are you tired of worrying about your drinking and ready to create a life that blows your mind? Then you’ll want to check out In Pursuit, my year-long coaching program for women like you who want to learn how to top overdrinking so that you can create a life that you love, no matter what’s in your glass. Head on over to rachelhart.com/inpursuit to apply. Thanks for listening to this episode of Take A Break from Drinking. 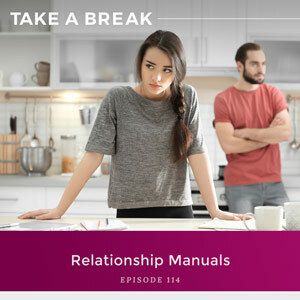 If you like what was offered in today’s show and want more, please come over to www.rachelhart.com where you can sign up for weekly updates to learn more about the tools that will help you take a break. I coach women who want to take a break from drinking so that they can learn how to relax, have fun, and feel confident without a glass in hand. Here’s a peek into who I am. Life coach. Feminist. History geek. Lover of letters and words. My coaching practice is shaped by the stories that inform women’s lives.